Bob Moriarty of 321 Gold discusses a company that has hit the ground running in Argentina’s lithium triangle. Earlier this year someone sent me some information about a tiny Australian company listed on the AIM in London that was drilling for copper and gold in Ecuador. The company is called SolGold plc (SOLG:AIM) and I wrote about them in late March. Their price was 3.7 pence at the time. On Monday October 31st, the shares hit 29.92 pence for an 800% gain in a seven-month period. The company wasn’t an advertiser then or now; actually they didn’t even bother answering an email I sent them asking some basic questions. They are AIM listed, which I hate, an Australian company, which I hate, and are utterly hopeless at communication. Their website looks like it was put together by a 12-year-old kid working on a school project. But they had the goods and eventually in spite of all the negatives the market eventually got the story. I wrote about them even though I had little information and no interest other than I thought they were a screaming buy. In the past year I’ve done a lot of research into solar power, wind power and batteries for storage. It’s a really interesting area because the economics are changing so rapidly. According to numbers coming from Tesla, the cost of one kWh of battery storage was $560 in 2008, will be $180 in 2017 and $100 in 2020 when the Gigafactory is completed. At $100 per kWh, battery storage is so cheap that solar and wind power begins to compete with coal and oil. That will be a game changer for the world economy. As far as batteries are concerned, lithium remains the way to go and industry projections show a shortage going into 2025. A friend of mine with an inactive Canadian listing just put together a major lithium project in the lithium triangle in Argentina. The company is named A.I.S. Resources Ltd. (AIS.H:TSX.V) and has an .h added to the symbol because the company was inactive. That will be removed after doing a financing and completing the deal. The primary project consists of a 7500 ha property at Guayatayoc located in the center of lithium production in Argentina. Prior work on the project was for the production of borates; however, samples were taken showing a good grade of lithium. 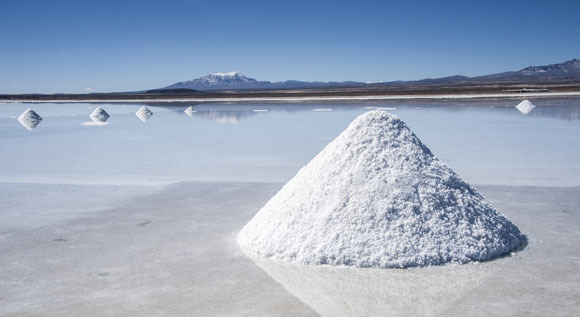 The project was approved for mining borates and the Argentine government has just allowed lithium to be added to the existing mining license. This company is a zero brainer. They have right at 19 million shares outstanding with a price of about $0.40 a share. So call it slightly below $8 million market cap. There are literally dozens of companies out there in the lithium space with moose pasture, no hope of ever getting a mining license and market caps ten times higher than AIS. AIS has hit the ground running. Having a mining license in hand is giant. There has been 2D Seismic done on the project and identified where the aquifers are. They are starting a pit sampling program drilling down four to five meters on a 500-meter to 1,000-meter grid. Once complete the company will do infill pits on a 100-meter to 250-meter spacing to increase the quality of the resource. The company just added an extremely qualified lithium guy who developed two major lithium projects in Argentina and was active in three lithium projects in the last four years. The Director, Phillip Thomas, worked on the Rincom salar project in Argentina and prepared the bankable feasibility study for the property. He is one of the most experienced and top guys in the lithium field in South America and especially Argentina. AIS is paying $150,000 USD for a six-month option on the project and there is a further US$4.5 million due at the completion of scientific studies and exploration for a 100% interest. There are probably seventy-eighty different Canadian juniors all claiming to be the best investment in lithium. Most of them are scams and will never see production. The market believes there will be a lithium shortage through 2025 but at some point the market will be saturated. Lithium is common. It’s not the biggest project or even the best project that will cross the finish line, it’s the few who can get permitted and into production soonest that will reward shareholders. Prior exploration showed lithium values between 200 and 800 ppm. That is considered highly economic. Magnesium to lithium ratios are less than 4-1; excellent for low cost processing. AIS is not an advertiser. I have participated in a private placement based on knowing senior management from past deals. I think they have a home run, they certainly have one of the most qualified technical teams I have seen and they have a mining permit. That will be golden. Please do your own due diligence. 1) Bob Moriarty: I, or members of my immediate household or family, own shares of the following companies mentioned in this article: SolGold plc and A.I.S. Resources Ltd. I personally am, or members of my immediate household or family are, paid by the following companies mentioned in this article: None. My company does not have a financial relationship with any of the companies mentioned in this article. I determined which companies would be included in this article based on my research and understanding of the sector. 2) The following companies mentioned in the article are sponsors of Streetwise Reports: None. The companies mentioned in this article were not involved in any aspect of the article preparation. Streetwise Reports does not accept stock in exchange for its services. The information provided above is for informational purposes only and is not a recommendation to buy or sell any security.